Russian defense ministry presents conclusions of investigation into downing of Russian plane by Syrian anti-aircraft missiles. Russia rejected Israel's explanations about the incident in which a Russian plane was shot down by anti-aircraft batteries of the Assad army during an Israeli attack in Latakia. The Russian defense ministry held a press conference Sunday morning, during which the conclusions of the Russian inquiry into the plane crash were presented, and it was asserted that Israel was at fault for the serious incident. 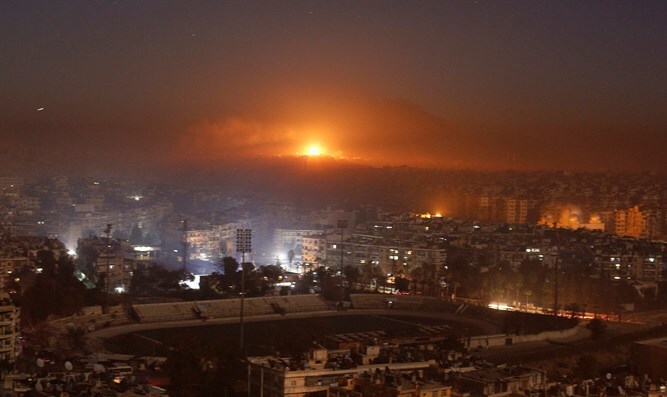 At the press conference, defense ministry officials claimed that during the conversation with the “smart line” in Russian, the Israelis claimed that the target was in northern Syria, but the Israeli warplanes ultimately carried out an attack in Latakia - in western Syria. "The erroneous information provided did not give the transport plane time to reach a safe place," the Russians claimed, adding that the IAF planes had used the Russian transport plane as a cover for the Syrian missiles. "The activity of the Israeli Air Force suffered at the very least from unprofessional, if not criminal, behavior, and therefore our conclusion is that Israel is responsible for what happened," it was said at the press conference. A representative of the defense ministry noted in his words that IDF leaders do not appreciate relations with Moscow and that Israel "behaves with ingratitude."